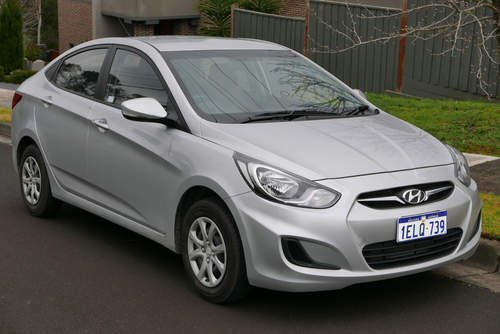 Tradebit merchants are proud to offer auto service repair manuals for your Hyundai Accent - download your manual now! With a list of cars that includes the 1984 Hyundai Terracan and the 2009 Elantra, Hyundai has been known for building a number of cars for over 35 years. Hyundai automobiles are much easier to maintain and repair with you have a decent repair manual. Tradebit has an unmatched selection of auto manuals from Hyundai, for just about all years and models. ► ► BEST ◄ ◄ 2000 - 2005 HYUNDAI ACCENT - COMPLETE Service / Repair / WORKSHOP Manual - PDF DOWNLOAD ( 2000 2001 2002 2003 2004 2005 00 01 02 03 04 05 ) !! 2008 2009 2010 Hyundai Accent Repair Manual ( 08 09 10 ) - Diy Factory Service / Workshop / Maintenance Manual - Download ! !